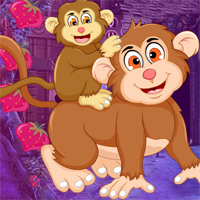 Avm Mystic Castle Escape is another point and click escape game developed by Avm Games. Welcome back escapers! In this escape game, assume that you belong to a noble family and you are living in a castle. You have been locked inside your castle. No one can unlock the door from outside as the key is inside the castle and there is no spare key as well. Hence, you must try to find out the key to escape from your castle or else you will be trapped inside forever. Collect objects and hints and solve puzzles in order to find the key to escape from the castle. Good luck and have fun!